John Milne was the eldest son of Alexander Milne and Jeannie Jamieson- born December 6, 1898 in Aberlour, Banffshire, Scotland. My Grandma Kinnaird was his younger sister. He was named for his paternal grandfather John, no middle name was needed. At age of six, he left Scotland with his mother and 2 younger brothers Alex and Bill for Canada, a year after his father. 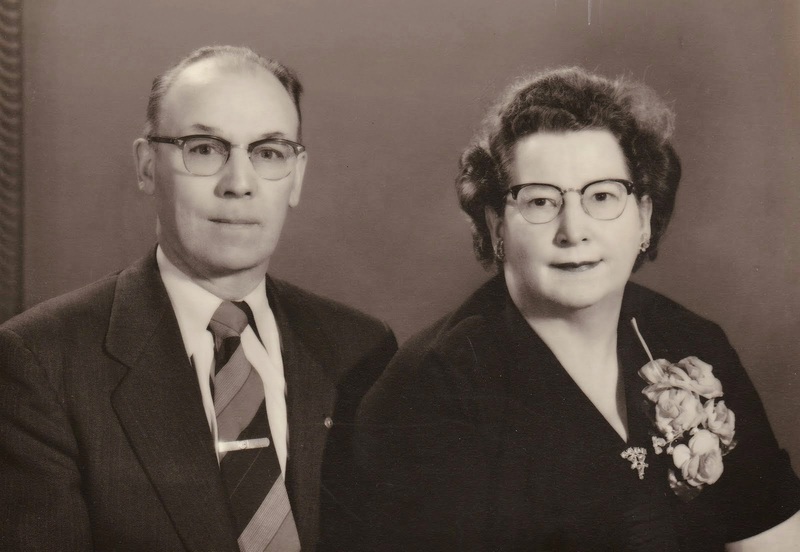 For the next ten years, they lived around Virden, Manitoba, working for various farmers and no doubt attempting to put away money for their own. To try to get ahead, the family of seven headed west to Cawston (East Keremeos) British Columbia in 1915. Alex was going to try his hand at ranching and his eldest son John at 16 years of age would have no doubt been working alongside him. However, the world of horsepower was giving away to machines and young John saw his future as someone who would fix these machines. John arrived in Hanna, Alberta in 1920, and began working as an automotive mechanic in a Blacksmith Shop owned by Ernest Gregory Samson, his future father-in-law. Zelma had been born August 26, 1904 in San Jose, California. The Samson family moved to the future site of Hanna, Alberta in 1910. 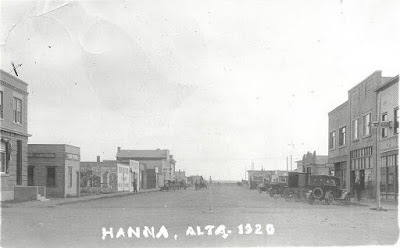 The town was named Hanna after the CN Railway came through in 1912. 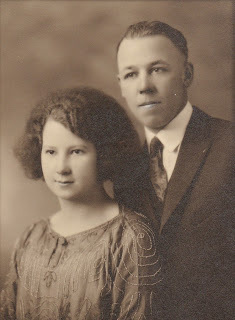 John and Zelma were married in Hanna on October 19th of 1924. She had just turned 20 and he was 25. The time spent earlier in BC with his family must have been positive experience for John because later that year they moved back to Trail B.C. where his oldest daughter Yvonne Mabel was born in 1925. In 1926, they moved to Princeton, B.C in the spectacular Similkameen Valley. Daughter Margaret was born next in 1928. Tragically she passed away at the tender age of 10 years old. Gregory Alexander and Esther Jane completed their family. 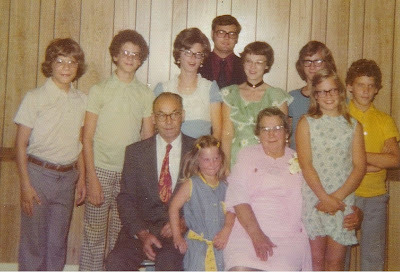 Greg and his wife Donna Marie have supplied the photos and information for this post and I am indebted to them for their ongoing help with this blog. John began working in Princeton in 1926 as a motor mechanic, but soon after began working as a Steam Engineer. He gained a 4th class steam ticket while working for a sawmill, but shortly after that, got his 3rd class ticket and started working as a stationary engineer in one of the local coal mines. He got his 2nd class steam engineer's ticket in 1933, and was the highest rated engineer in the Similkameen area. When the mines closed down in 1935, due to the Great Depression, he reverted to motor mechanics, and became the “Heavy Duty” mechanic for the Provincial Department of Public Works at Copper Creek, thirty miles west of Princeton, on the “Hope” trail. 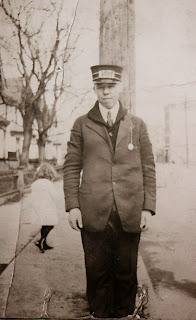 In 1937, he was established as the chief mechanic at the Provincial shops in Princeton. 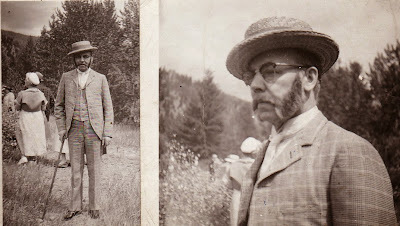 He remained in that position until retirement, though by that time he had become the Chief Master Mechanic for the Department of Highways in B.C. An impressive career indeed! John was active in the Oddfellows Lodge, serving as Grandmaster in 1952. He was also a charter member of the local Rotary Club. He joined the Princeton Volunteer Fire Brigade in 1937, and in 1941 he was appointed as Fire Chief. He remained Chief of the Fire Brigade until he retired in 1963. He had also been appointed as District Fire Marshall, by the Provincial government in 1944. This was a part-time (as required) paid position. When he retired, he allowed his name to stand for election as a town councillor, and was elected and held that position for 2 three year terms. He had previously (1946 – 1958) served as a trustee on the local school board, serving as chairman for his last two years. 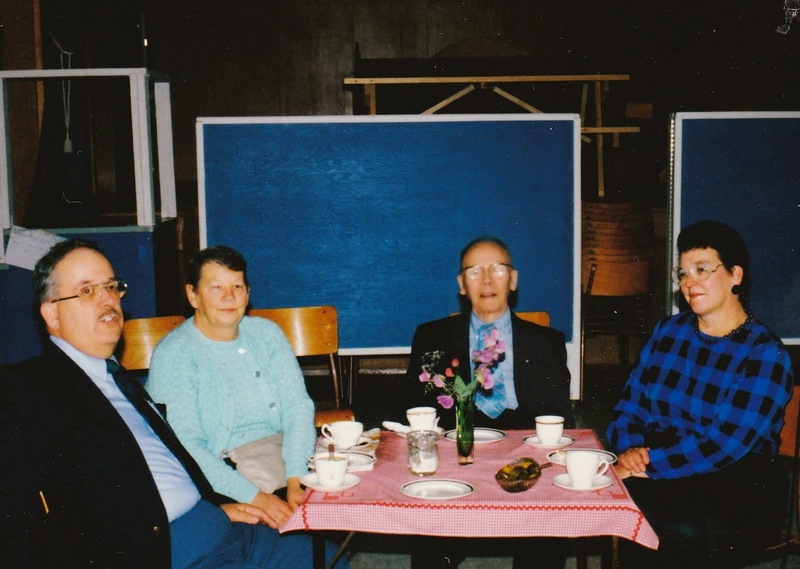 John made occasional visits back to Hargrave including his parents 50th anniversary in 1947. 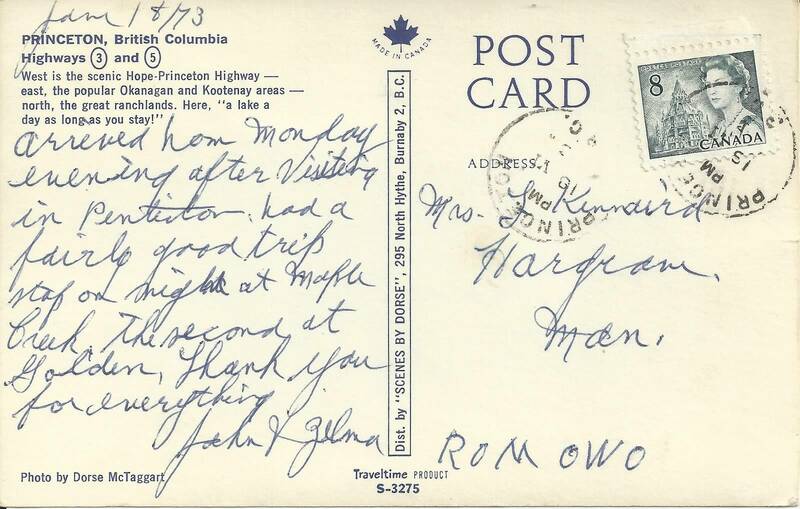 Below is a postcard that John and Zelma send my Grandma in 1973 after a visit. In the above pictures, John is dressed in a period costume for a centennial reenactment in 1958. 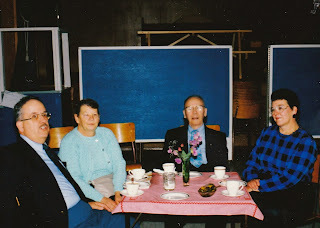 The occasion was the year-long celebration of the 100th anniversary of the founding of the colony of British Columbia. It had formerly been the Hudson Bay Co. territory of New Caledonia, which was a part of the greater Oregon Northwest Territory. 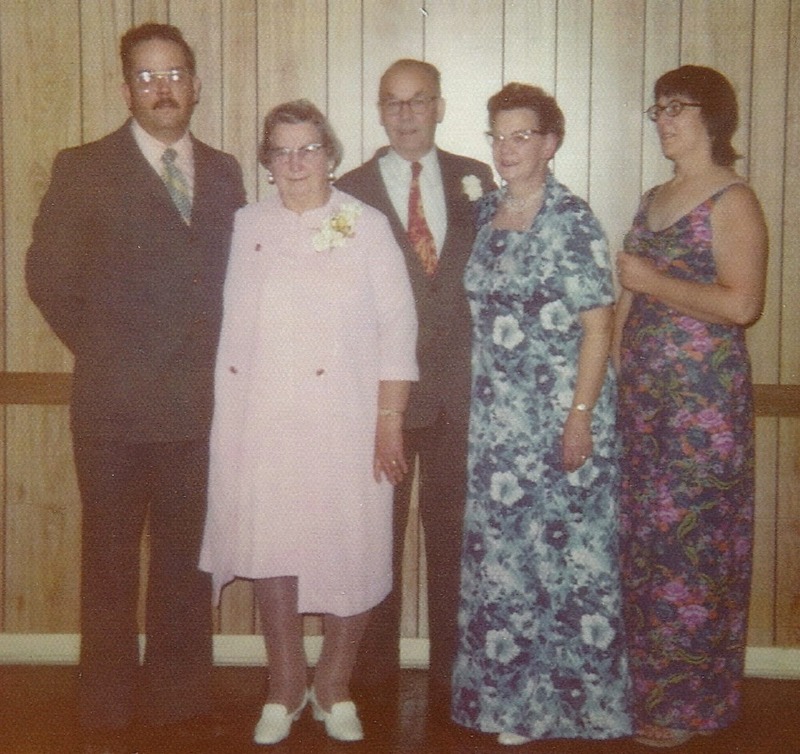 pictured with children Greg, Yvonne and Esther. Zelma passed away in Princeton, on the 8th of December 1983, two days after John’s 85th birthday. 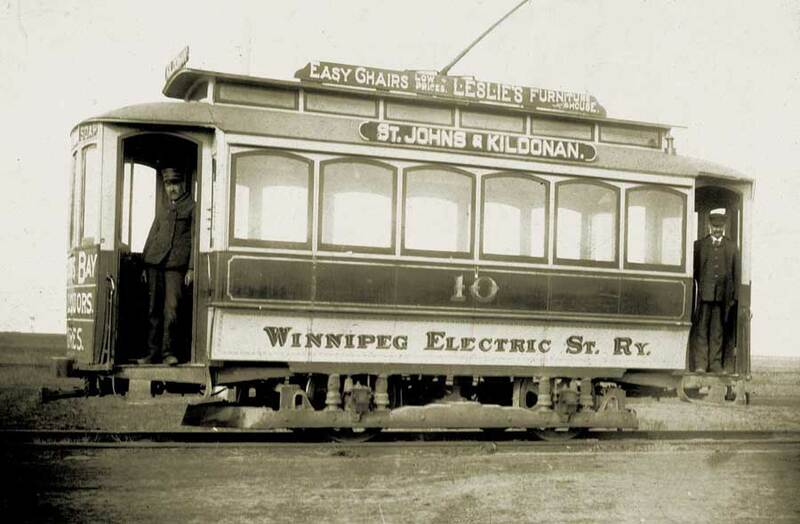 John died in Penticton, B.C. 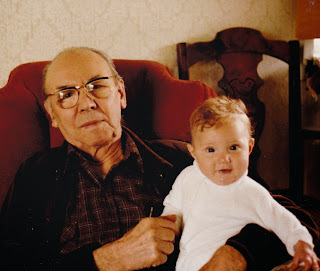 on the 12th of April 1992 at the age of 93, nine years after Zelma. They are both buried in Princeton.